Virginia Gov. 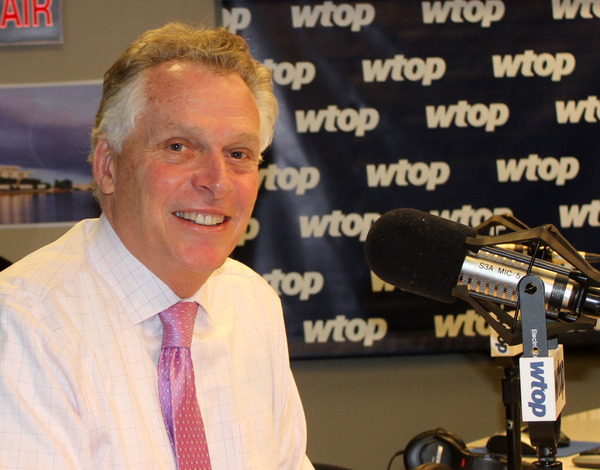 Terry McAuliffe joined WTOP on Wednesday Feb. 22 2017. WASHINGTON -- Virginia Gov. Terry McAuliffe plans to meet with the head of the Department of Homeland Security and U.S. immigration officials this weekend and said he will demand details about the Trump administration's plans to more aggressively enforce immigration laws. "We all want to keep our communities safe. But there is a very fine line between keeping our communities safe and trampling on civil liberties," McAuliffe said Tuesday during WTOP's "Ask the Governor" program, citing a recent Immigration and Customs Enforcement raid in which Latino men were arrested outside an Alexandria church shelter. McAuliffe said the incident raises concerns about a "chilling effect" on immigrant communities and that state officials need clarity on the new policies. "If we as a nation have changed the standard that we are going to use, I want to know that," McAuliffe said. "Because I am very concerned what could happen is, we are going to drive people underground. People are not going to work with law enforcement. If they're a witness to a crime, they're not going to come forward and talk about that." McAuliffe said the meeting with DHS Secretary John Kelly and ICE officials would happen Sunday. McAuliffe will also meet with President Donald Trump this weekend during a meeting of the National Governors Association, which McAuliffe heads. McAuliffe's comments came a day after the Trump administration released sweeping new guidelines for immigration enforcement. All immigrants who are in the country illegally and convicted, charged or even suspected of a crime are now considered priorities for enforcement action, according to the new rules. Obama administration guidance focused on immigrants convicted of serious crimes. However, officials in some Virginia communities have complained the previous rules were too lax and that federal immigration officials were not doing enough to crack down on and deport illegal immigrants who commit crimes. "We want to keep our communities safe; if someone's committed a crime, we want to go get them," McAuliffe said. "But we've done this for years; we have a procedure ... We need to focus on catching criminals and stopping crimes." McAuliffe said he is concerned random stops will lead to a targeting of certain ethnicities. The governor also said he would veto a bill, passed by the Republican-controlled Virginia legislature, that would require local law enforcement authorities to hold illegal immigrants until federal officials can take custody of them. "Local law enforcement are busy doing their jobs to keep their communities safe. They are not federal ICE officials," McAuliffe said. "Nor are we going to turn our local sheriffs and other folks involved in law enforcement into ICE officials." McAuliffe, who chairs the National Governors Association, will meet with Trump for a black-tie dinner at the White House Sunday night along with 46 other governors in town for the annual meeting. Another meeting with Trump and cabinet officials will come next week. "There are a lot of areas where we can work together, and that's the point I want to make to the president," McAuliffe said. He said there is consensus about retooling the automatic federal budget cuts, known as sequestration, and increased investment in infrastructure. McAuliffe, who has had always had to contend with a GOP-led General Assembly, has vetoed upward of 70 bills during his tenure. That included four bills this week, such as a measure to allow Virginians to carry concealed switchblades and a bill to lower the age limit for carrying concealed weapons from 21 to 18 for active-duty military members and veterans. "This legislature has passed the nuttiest pieces of legislation I have ever seen," McAuliffe said, referring to a bill to defund Planned Parenthood and what he characterized as anti-LGBT measures. McAuliffe also nixed legislation, known as the "Tebow Bill," named for the former NFL star, that would have allowed home-schooled Virginia students to play on public school sports teams. McAuliffe said parents choosing to home-school their children is fine. "But this is not a cafeteria. You don't get to choose," he said, referring to standardized testing and attendance requirements required of traditional public school students. The governor remains stuck in a dispute with GOP lawmakers over a $4.2 million effort to provide extra mental health resources in Virginia jails. McAuliffe said the measure won't be a lost cause even if the legislature ultimately doesn't fund it, because current predictions indicate some left-over funding at the end of the fiscal year that he, as governor, has the authority to use. "And my first priority in spending that money" is for mental health experts in jails, he said. Overall, McAuliffe said he's "very happy" with the budget negotiations, which are entering their final stages. Lawmakers mostly kept funding levels for education and efforts to fight the opioid epidemic in Virginia. "We're 95 percent there," McAuliffe said. "Of course in the end, we're going to have differences." The governor has made boosting the importance of cybersecurity a key priority as head of the governor's association and made several attempts to boost the state's own online security defenses. A state audit, however, criticized this month the Virginia Department of Taxation and its partnership with tech company Northrop Grumman, saying its review turned up several important security patches that hadn't been implemented. McAuliffe said overall the state suffered 86 million cyberattacks last year -- one every 4 seconds -- and that Virginia is in better shape than many other states. "We're going to have incidents," he said. "We can have the best protocols. These people are -- they hacked our presidential election ... We are out there leading our country. But every day is a new day in cyber." McAuliffe also revealed a foreign hacker recently tried to break into his personal state email account but was thwarted. McAuliffe on National Governors Association meeting in DC this weekend. McAuliffe heads the NGA. Sunday night, President Trump will host black-tie meeting at the White House ahead of a Monday meeting. McAuliffe: Governors are interested in talking infrastructure, concerned about Affordable Care Act replacement. Call from Laura in Fairfax with the disability rights group ADAPT; concerned about Medicaid block grants. McAuliffe says he will raise the issue in his meeting with the president. Says he's already met with House Speaker Paul Ryan about it. Question from Diana from Alexandria re: the vetoing of "Tebow bill," which would allow home-schooled students to participate in public school sports. Over 8,000 home-schooled students in Va.
short break for traffic and weather. Stay tuned for the answer about why Gov. McAuliffe vetoed "Tebow bill"
McAuliffe says Va. legislature has passed some of the "nuttiest" legislation, citing what he called "anti-women" and anti-LGBT measures. Has vetoed upwards of 70 bills passed by legislature. McAuliffe on "Tebow bill": If you want to home school, that's fine. "But this not a cafeteria. You don't get to pick and choose," pointing to testing and attendance requirements for public school education. McAuliffe also talked about vetoing a bill to lower the age for concealed carry permits for active-duty military and veterans from 21 to 18. McAuliffe addresses dispute with GOP lawmakers about $4.6 million effort for mental health screening in jails. McAuliffe: We don't have the staff in the jails who have the adequate training to deal with mental health issues. McAuliffe: "All in all, I'm happy with the budget." Lawmakers mostly kept funding levels for education and efforts to fight opioid epidemic in Va. "We're 95 percent there. Of course in the end, we're going to have differences." Stay tuned: Coming up additional questions on the budget, Metro and what's going on with Virginia residents' power bills. McAuliffe on mental health screening in jails. "It's not a lost cause" even if lawmakers don't fund it. WTOPVirginia lawmakers ask Gov. Terry McAuliffe to change a law giving power companies exemption from regular base rate reviews — a move that could lower bills. 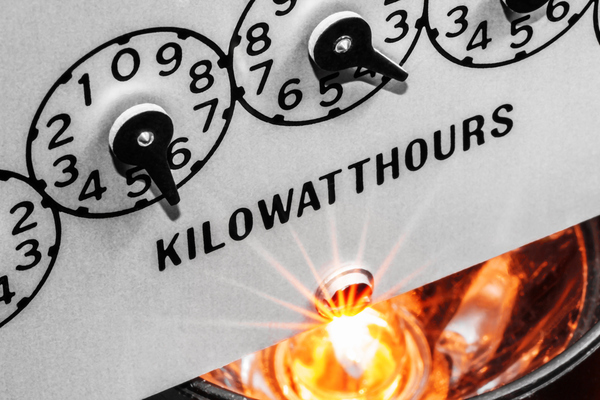 The rate freeze/rate review freeze for power companies was tied to the EPA's Clean Power Plan. New head of the EPA says he will withdraw the plan. McAuliffe has made cybersecurity a big priority. But recent state audit of Va. Department of Taxation said the agency hadn't updated critical security patches. McAuliffe: Virginia suffered 86 million cyberattacks last year -- one every 4 seconds. Says Va. is in better shape than other states. McAuliffe on cybersecurity: "We're going to have incidents. We can have the best protocols. These people are -- they hacked our presidential election! But we are out there leading our country. But every day is a new day in cyber." McAuliffe also reveals a foreign hacker recently tried to break into his state account but was stopped. McAuliffe says bill formally creating Metro Safety Commission is finally heading to his desk soon. McAuliffe: "There are a lot of issues" with Metro. Says he wants to see changes to governance; more transit experts on the board. McAuliffe: There are too many politicians on the Metro board. McAuliffe on Virginia House Speaker Bill Howell's retirement: "He had a great ride." Governor, why do you think your allowing Illegals in Virginia helps state tax payers. wasting Thousands of dollars. ? You said on air Executive Orders are for Kings and we don't want a King but you and President Obama both issued EO so why is it not ok for President Trump but ok for you and President Obama? Recently I read that Govenor McAuliffe was focused on expanding Cyber and Tech jobs throughout Virginia and was working with Virginia colleges to fill those positions. I was wondering (as a student interested in IT) what credentials were needed for potential employees? I am mostly self taught but am interested in furthering my IT education, do these jobs require a higher education or simply a IT Certification in CCNA or CompTIA A+ ? Here's the full audio from today's show.